I’m sure you’re already familiar with the old saying about March: “In Like A Lion, Out Like A Lamb”. This ‘weather lore’ saying is considered a proverb, the origins of which dates back to the eighteenth century, but which no country can claim it originated from. Regardless of who first said it, it rings pretty true for the month of March on the East Coast, at least. Usually before the middle of March hits us, we are teased with warmer, sunnier days that actually start to show some positive signs of early Spring and brighter days ahead. We start to see a few green sprouts, clouds give way to bluer skies, and the day light hours begin to lengthen. Because of the warmer days, wild animals that have been hibernating and keeping to their dens wake up to roam about (which is why there is a higher number of animals hit by vehicles during the early Spring). Bird song is more noticeable and flocks come in larger numbers to lawns and feeders. Bu then – BLAM – it changes. March weather suddenly turns colder. Skies darken, clouds move in, winds blow, and more frost and snow comes. Grounds warmed by early sunshine turns muddy, and refreezes. Those happy green sprouts succumb to cooling temperatures and frostbite. The birds that have arrived in larger numbers suddenly find themselves in a mad scramble looking for food that is promised with the warmer weather. Strays and homeless are already pregnant. March is roaring in, and sometimes March roars for the entire month. Leaving many animals (wild, domestic and farm) in tragic conditions. Unfortunately, many people think that leaving pets outside day and night in the Pre- and Post- Winter and Winter season without basic care and attention is enough. The days and nights leading up to and after Winter can be miserable on animals in general, not to mention Winter itself. GREAT, and thank you! In addition to providing them with fresh water (see #3), make sure that once you start putting out bird food, that you KEEP doing it through the wintry months up until the true warmer weather begins to stay. Why? Once a bird finds a winter food source, it will become dependent on being able to forage in that same area as an expected food source. Birds need to eat at least a much as it’s total body weight in food EVERY day just to survive another day of winter. The energy a bird takes to find food can become a deadly race to store energy OR go find a new food source. So, feed the birds in the same place, every day. Do you want to feed the ducks in the winter? A bag of corn works better than bread. Animals can die in ANY weather depending on the situation. Early Spring and Late Winter is no different. You can help prevent that by doing right by any animal in need. Remember, not every “outdoor dog” you see chained is actually an outdoor dog. And not all cats are feral. Cats dumped during the winter months will most likely succumb to the elements, starvation or dehydration. 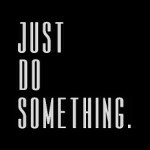 Whatever you see, check it out and JUST DO SOMETHING – you may be the one person to save or better an animal’s life. For animals, it pays to remember that March, indeed, comes in like a lion. YOU may not be feeling the roar of winter leaving, but many, many animals do, and will. What are you doing to help animals during the last weeks of Winter? Thank YOU for taking the time to keep your eyes open, and JUST DO SOMETHING for those that cannot speak for, or defend, themselves.